You might have been forgiven in thinking the return of World Cup qualifying is all about those at the top edging closer to Russia in three years’ time. However, it’s those who often go by unnoticed in the remainder of the group that arguably have more to play for and in the end will ultimately decide the final standings. One tie immediately fitting the bill is Thursday’s round opener from Group D between Guam and Turkmenistan. 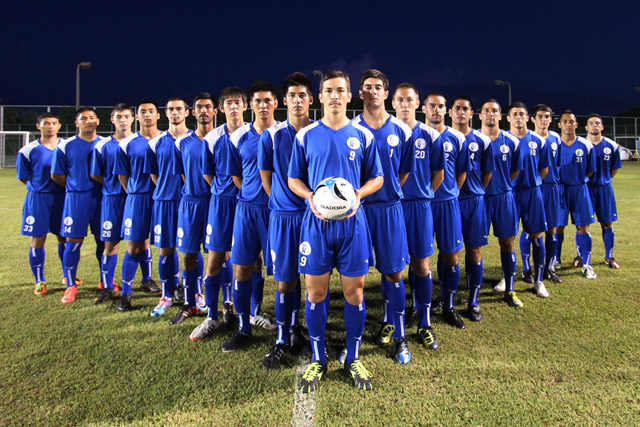 For Guam, one of the smallest nations in World Cup qualification, this provides a historic platform in their footballing culture. Despite facing a couple of qualifiers back at the start of the century, Guam play host for the first time, with a tangible set of 8 matches in the group stage in which to grow. Their last encounter, some 15 years ago, ended in dramatically embarrassing fashion losing 16-0 to Tajikistan, after a similarly crushing 19-0 defeat to Iran days before. Guam are in far better shape nowadays, though. Greater mechanisms are now in place domestically, including the construction of a new training centre and a greater offering footballing resources in the country. Under the stewardship of English coach Gary White, who has successfully managed his side up the FIFA rankings despite being seeded as the lowest in the group, Guam will be out to engineer an upset or two along the qualification path. Their squad offers something unfamiliar from the rest of Asia, given the vast majority ply their trade in the USA. While this is generally at a low level, the focus on physical conditioning sets them apart from the other so-called minnows of Asian football, the likes of Laos, Chinese Taipei and Bhutan, who are usually more adept on the ball opposed to physical power. A player that heads the bill in the Matao squad is LA Galaxy defender A.J. Delagaza, who has only joined up as a Guamanian international in the last few years. He undoubtedly offers the steel and much-needed experience in the defence, while skipper Jason Cunliffe, who has now returned to play his domestic football in his homeland, will be responsible at the other end in the Guamanian attack. Cunliffe, like much of the squad, is a part-time footballer; the striker has had to get time off from his job in a bank to feature in these upcoming qualifiers. Their opposition, who they have yet to play in their history, would also be regarded as a footballing minnow from outside the region despite having a much stronger profile in the game than their hosts. However, Turkmenistan are encountering their greatest slump in their short footballing history. Previously the national team were a well-accomplished competitor in the lower echelons of Asian football, consecutively finishing runners up in Asia’s now defunct second tier national competition AFC Challenge Cup over the last decade. After a miserable tournament in the final edition last year (won by Palestine), Turkmenistan fell to their worst FIFA rank in their history, flinging themselves into a quite uncertain qualification process for Russia 2018. To remedy this, a new coach in the shape of Amangylyc Kocumow has been appointed, for his second stint in the hot seat, after leaving the helm of the Olympic national squad. His brief will be clear: to return to their higher standing in the region which they had developed in their 20-year existence. Looking at the group, while Iran and Oman are likely to rule the roost at the top of the standings, the remaining matches against Guam and India will be seen as must win games for the Central Asian side, with guaranteed progression to Round 3 of Asian Cup qualification considered a must. There lies the added incentive of this round of qualifiers. While the top sides (group victors, plus those best placed runners up) make it through to fight for World Cup qualification, the rest still have the chance to compete for qualification to the Asian Cup in the UAE in 2019. With the expansion of the competition to 24 nations, the likes of Turkmenistan and an outside shout of Guam will entice focus on the lower end of the group. Indonesia’s expulsion from AFC tournaments play further intensifies the competition, given that head-to-head records will now leave out any dead rubber side that will finish bottom of the section. Turkmenistan’s squad make-up also relies on a physical nature, as was clearly on display during their Challenge Cup relative successes in 2010 and 2012. While much of the squad is domestic-based, with an ever increasing amount playing for an in-form Ahal side that thoroughly impressed despite a group stage exit in the AFC Cup, some players are making an impression abroad. Striker Artur Geworkyan is the current holder of the golden boot in Uzbekistan, scoring 36 league goals over the past two seasons; he played in the AFC Champions League only a few months ago. Further back, creative duties are reliably provided by Czech based Ruslan Mingazow and Arslan Amanow, who has recently made the jump into the UFPL. Turkmenistan are a side out of form for sure, without a competitive match to their name for over a year. However, their talent suggest they can do much better, one definitely to watch out for in the early group stage matches. In some quarters, the newly-adopted, drawn-out qualifying procedure has been criticised, pointing towards the lack of quality opposition for the top 10 or so nations in Asia. While this is an obvious constraint, the effect of guaranteed football over the next 12 months for countries such as Guam and Turkmenistan can’t be overstated. While the likelihood of one of the so-called minnows ending up being on the wrong end of a hammering remains high, the background experience in organisation, logistics and facing the best in Asia surely outweighs the concerns put forward by the higher ranked nations. While the AFC waits with bated breath, the vast majority in Asia will be salivating at the start of their pursuit for potential World and Asian Cup qualification.